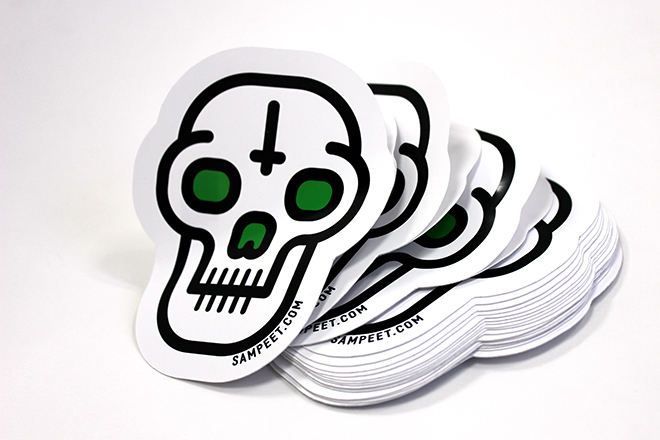 Die cut stickers now available at Diginate! 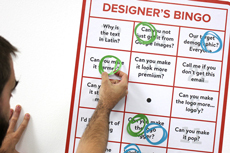 When we first started Diginate we only offered stickers on sheets. 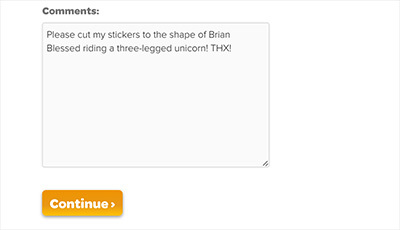 Our stickers liked it – they were amongst friends – but it wasn’t so easy to hand them out, include them in goodybags, or use them as confetti. That’s why we launched ‘The Individual‘ in 2013, to much critical acclaim. 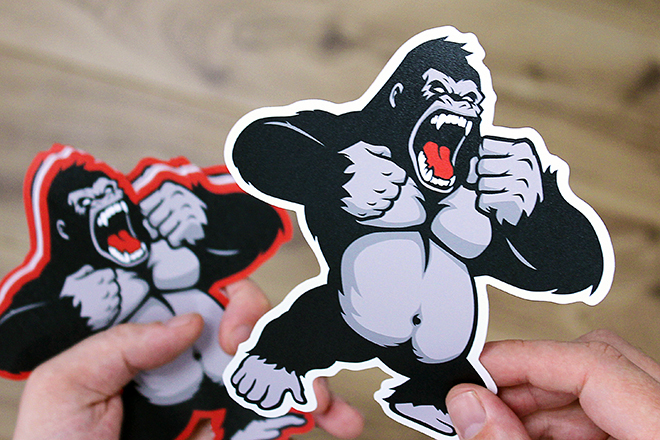 Now we’ve gone one step further: die cut stickers are now available at Diginate! 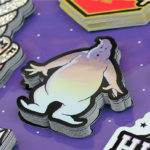 Die cut stickers are just like our individual stickers, but are cut right through the backing paper to the shape of the sticker. Any shape you like, in fact – just select ‘custom shape’ and ‘die cut’ for incredible results. 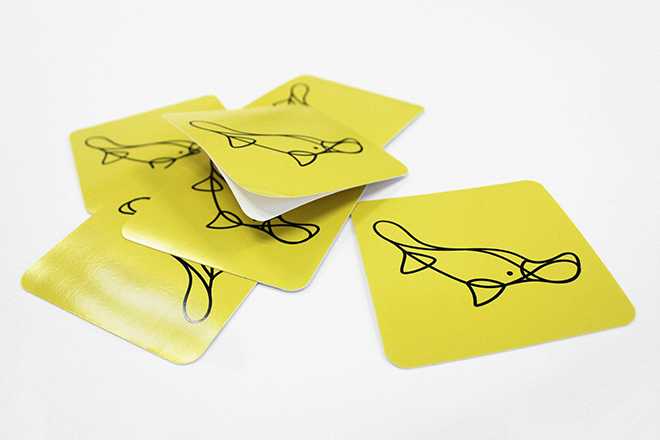 If you’re making custom shape die cut stickers try and keep the cut path as smooth as possible – tight angled cuts and fine detail may cause rough edges or parts of your stickers to be damaged. Simple, fluid lines work best. Avoid thin (<2mm) borders around the edge of your stickers – there’s a cutting tolerance, so you may find that your borders are uneven (or removed completely). 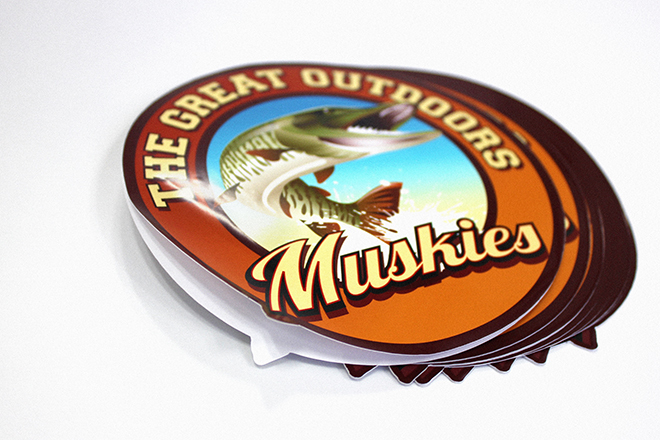 A white edge can look great on die-cut stickers. Consider adding a 4mm white border to your design. Indicate cut lines on a separate layer on your artwork file. If no cut lines are indicated (and you’ve selected custom shape) we’ll call a board meeting and make an executive decision on where best to place your cutline. It’s generally an offset line 3 or 4mm from the edge of your artwork, but if you order at 5:30pm on a Friday results may vary. You can also describe your dream cutline in the comments box during the order process and we’ll do our best to make it a reality. 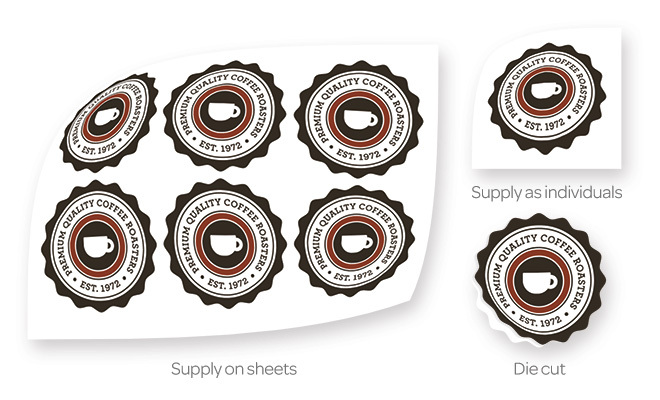 Diginate die cut stickers – give them a try today!